John and his two sons go to Sports Cards Plus to pick their box from The Best Cases in The Hobby at The LOWEST Price in The Galaxy. Over the last few years, John & Sons have pulled tons of great hits at "The Super Hit Factory." 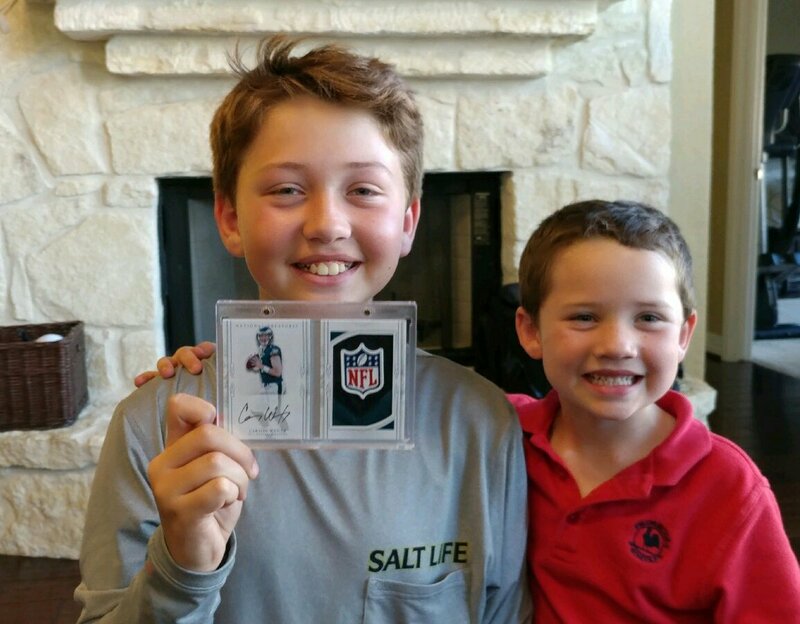 To the left is John's sons with a Johnny Manziel National Treasures Autographed NFL Shield RC 1/1. 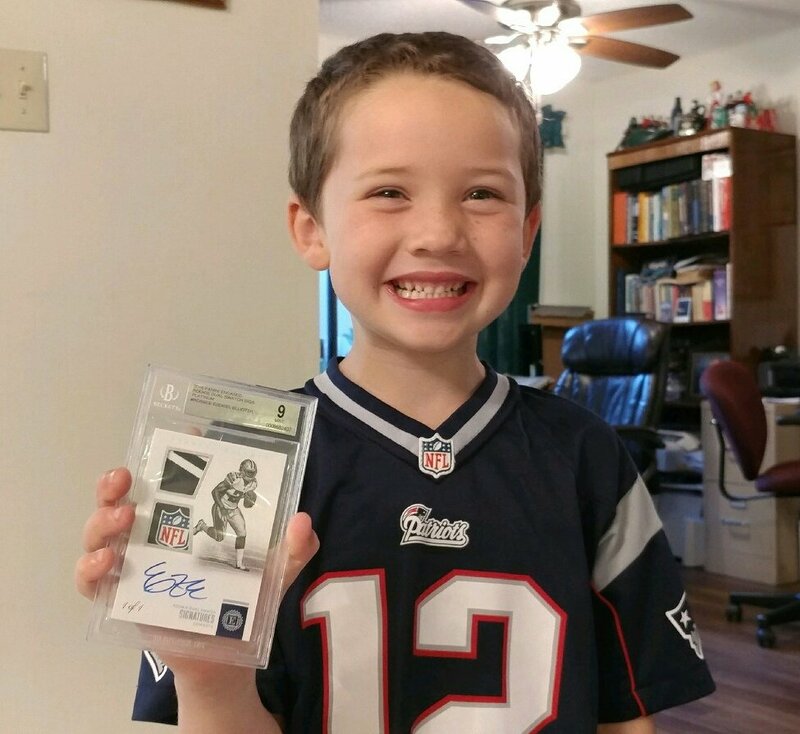 Below is John's son with a Tom Brady Autographed Print Plate 1/1. This time their continued their National Treasures good fortune with the above Carson Wentz Autographed NFL LOGO Shield Booklet 1/1. But they weren't done yet. They also pulled the below 2016 Panini Encased Ezekiel Elliott Autographed NFL Logo Shield Laundry Tag 1/1. Be like John & Sons. Go to Sports Cards Plus and get your fair share of Super Hits.